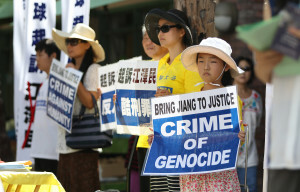 In Chinatown, a show of support for followers of Falung Gong and their legal action against persecution. Beside Kapalama Canal, a new law to clear out the homeless. And at the Capitol Auditorium, a public meeting on Micronesian immigration. 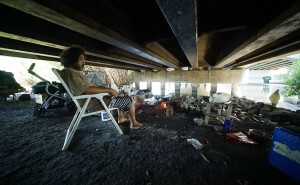 A small homeless encampment has spread out beneath a cluster of overpasses and along nearby waterways, generally out of the public's sight, but not beyond the gaze of the state Department of Transportation. A tropical storm that looked threatening roiled the waters but stayed north of us. Meanwhile, TMT protesters wondered why they couldn't get a seat at the world's biggest astronomy conference. Gov.David Ige rolls out a new lineup of leaders to battle homelessness, and the U.S. military partners with the state Department of Education on a new building at Hale Kula Elementary School. 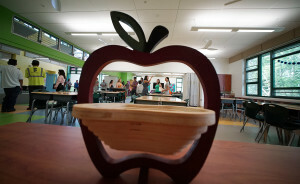 A new elementary school in Kapolei and a new agricultural product in Waimanolo are celebrated. A hula festival returns to Moanalua Gardens and the Honolulu Ethics Commission returns to the issue of when to talk to the media. 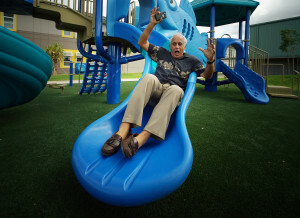 Hawaii Kai residents get riled up over proposed bay restrictions, Mayor Caldwell maps the future of a landmark Honolulu park, and Gov. 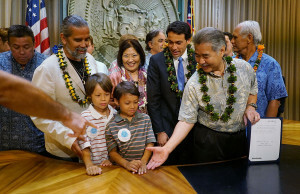 Ige hears about the TMT project — again. 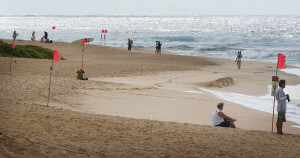 While the nation's secretaries of labor and veterans affairs talked issues in Honolulu, surfers, bodyboarders and even some risk-taking non-boarders negotiated big waves, taking advantage of blue skies before this weekend's rainy forecast. 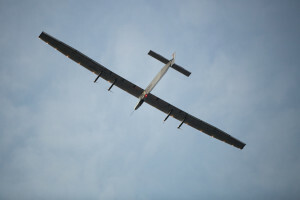 A record-setting adventure to circumnavigate the globe using only the sun for power touches down in Hawaii. Despite a handful of arrests, officers and protesters treat each other well. 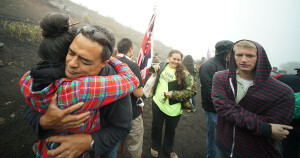 But this week's attempt to resume construction of the Thirty Meter Telescope gets off to a rocky start with boulders strewn across the mountain road, forcing its closure. 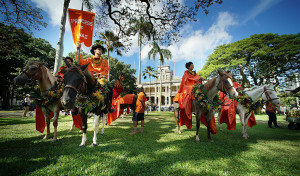 Two parades inspire colorful street scenes while the rail project marches eastward and the Board of Education grapples with a controversial issue. Photos from this past week reflect the passion and commitment that surface in many ways in our state. And of course there's a rainbow at the end of every journey. 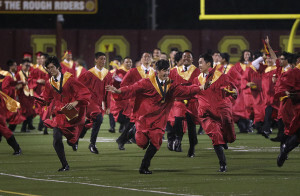 Thousands of teenagers graduated from high school in Hawaii this week while their teachers voted — again — on new union leadership.